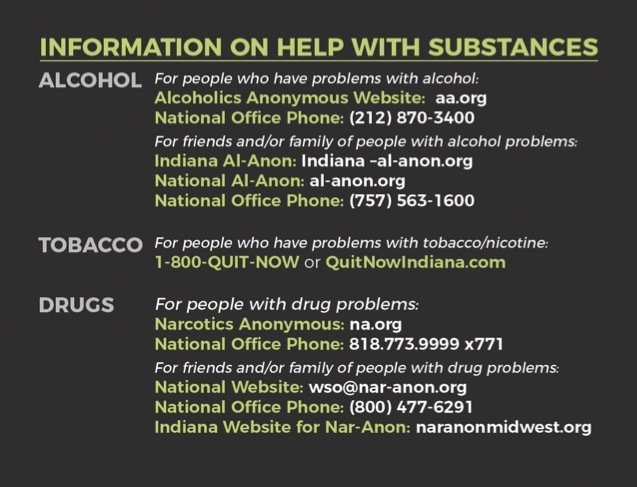 Four County can help you in your recovery journey! Our clinicians provide an array of services including individual, family, groups, recovery coaching and Medication Assisted Treatment (MAT) to assist individuals that want to eliminate substance abuse or an addiction from their life. Our recovery clinicians are trained in a wide range of evidence-based approaches to treatment. We adhere to two mottos in our system-wide approach to recovery: No Wrong Door and We Ask Everyone. Four County was the FIRST community mental health center in the state of Indiana to implement Screening, Brief Interventions, and Referral to Treatment (SBIRT). This means that all clinicians who work at Four County are trained to screen and effectively triage to the appropriate level of care for individuals impacted by substance use disorder. We have adapted our approach to SBIRT to include not only screening for alcohol, illegal drugs, misuse of prescription drugs, but also tobacco and gambling. We also offer a MaT-Rx (Maximizing Tools in Recovery) program that uses a wraparound approach to treatment with a combination of Medication Assisted treatment and outpatient treatment. To learn more about opioid use disorder and treatment, visit https://www.in.gov/recovery/know-the-o/.